Prince Rogers Nelson was a prolific musical innovator and songwriter, multi-instrumentalist and record producer who sold over 100 million records, making him one of the best-selling artists of all time. His shocking death on April 21, 2016, however, made him more than a genius—it made him a legend. 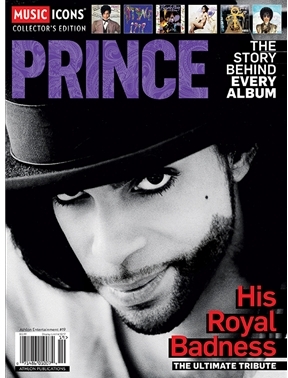 A year after his passing, Prince: The Story Behind Every Album, sheds light on this wild, mysterious and controversial musician, with illuminating and authoritative stories about his many hit recordings and his astounding life. Featuring rare interviews and intimate photos, this special takes you on a journey through the fascinating details and creative epiphanies the shaped his 24 studio albums and astounding body of work.